Reform of state forest regions in China is of particular interest to EfD. Beginning in 2005, EfD China has been studying possible reform paths for the northeast state forest regions. Funding from the World Bank, Ford Foundation, and EfD initiatives has allowed researchers to conduct two rounds of comprehensive surveys in 2005 and 2009 by considering data spanning the thirty year period between 1980 and 2008. The research focused on demonstrating the impact of local innovations on forest management and the livelihood of the forest workers and their families. In 2012, a research team consisting of Jintao Xu, Xuemei Jiang, Ping Qin, and Haipeng Zhang conducted analyses on data from the two rounds of surveys. They also organized a study tour in the US for a senior delegation of the Chinese Society of Forest Economics, according to Jintao Xu. This was designed to enrich their understanding of the management of national forests with multiple goals. A May 2012 workshop held in the Beijing World Bank Office summarized the findings for six senior central government officials, some of whom were surprised by the results. “Our judgment is that the study tour and the workshop provided very innovative insights into the minds of the senior officials, which in the future will influence the way that the state forest reform is considered,” Jintao Xu says. The officials were presented with data from the multi-year study that indicated it would be beneficial to redistribute management responsibilities between central and local governments and allow more localized decisions regarding reformation of state forest enterprises. Those attending the workshop welcomed most of these ideas. “Reform of state forest regions in Northeast China is important because of its historical significance in timber supply and forest management structure. It is the political foundation of the central government forest administration,” says Jintao Xu. He explains that regional reforms will affect the efficiency of the affected enterprises and will also affect the reorganization of the central forest authority, which complicates the issue. The complexities of restructuring have made it a hotly debated topic. 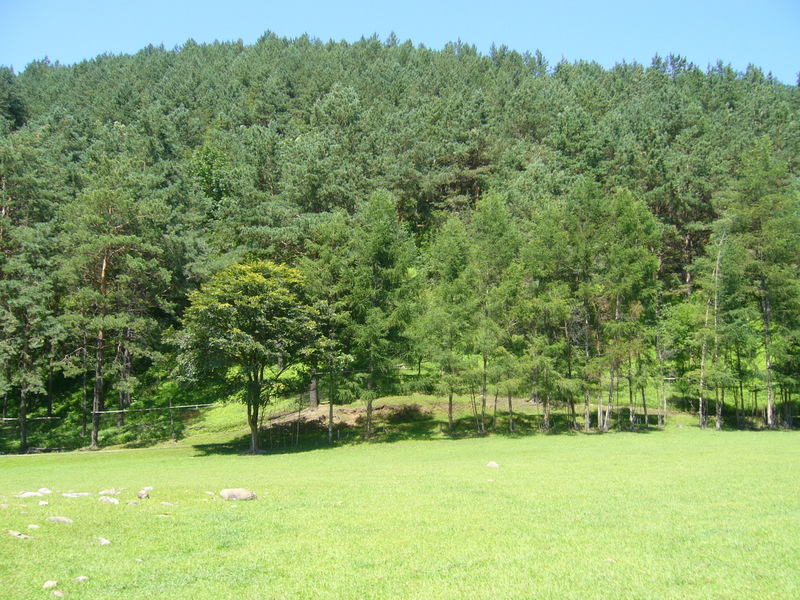 State forest reform is currently stalled due to the opposition of the central forestry authority, despite strong pressure from private enterprises and local governments. For this reason, Xu believes the EfD’s research is extremely relevant. The debates around state forest reform are focused on the division of responsibilities between central and local governments. The survey data could assist the Central Forest Authority in making an informed decision regarding these divisions in the context of national reform, while considering the national forest policies of other countries. “Key messages resulting from the multi-year study include redistributing management responsibility between central and local governments, and allowing localized decision on reforming state forest enterprises,” says Jintao Xu. If reforms are made, this could result in more local innovations, which would meet the urgent need to allow greater efficiency and economic viability. This would support families and workers living and working in state forest regions by providing local autonomy in making decisions on state forest enterprise reforms, including the tenure structure of state forests. When asked about the influence of the collected data and what difference it has made, Xu said “We have helped people from the Central Forest Authority realize that forest tenure dictates decision-making power.” He believes that the research indicates that the central government should restrict its intervention and focus it in areas where it has true management capabilities, such as making a commitment to investment and monitoring, while regulating cost. Furthermore, the EfD researchers have supported innovation in the conversion of state forest enterprises to local government in the Heilongjiang Province, the largest state forest province. This conversion was supported by establishing household based forest tenure, which has been advocated by EfD China since 2005. More individualized forest tenure is to be expected in the future. Jintao Xu considers the project a success due to the large amount of empirical research and data collection. The study tour afforded the team the opportunity to present their research to government officials and encourage reform. Additionally, the research conducted by Xu, Jiang, Qin, and Zang has been cited twice in Science magazine.